I'm starting a new online Stamp Set of the month program. I'll pick a stamp set each month, and you'll get the CLEAR stamp set and 3 completed cards made with the set plus all the instructions (all measurements and a supply list) for $30. I will ship the set and cards in a flat rate USPS Priority Mail envelope, so you can join no matter where you live in the U.S.
You sign up for each month separately, so if you don't love one month's offering, you can simply skip that month. (You may also substitute another set if you have that month's choice. Mention this as you pay...not later.) There is no obligation to continue. However, if you purchase the Bunny Buy for 3 months straight/in a row/consecutively, you will receive $5 off your next month's Bunny Buy. Payment is due by Paypal no later than August 2. Just email me if you'd like for me to invoice you from my Paypal account. 1. 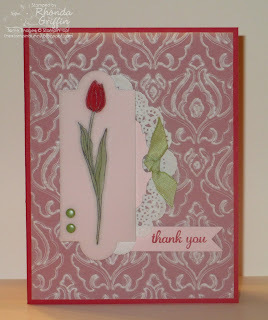 Cut all cardstock pieces...emboss the Pink Pirouette layer using the Fancy Fan folder. 2. 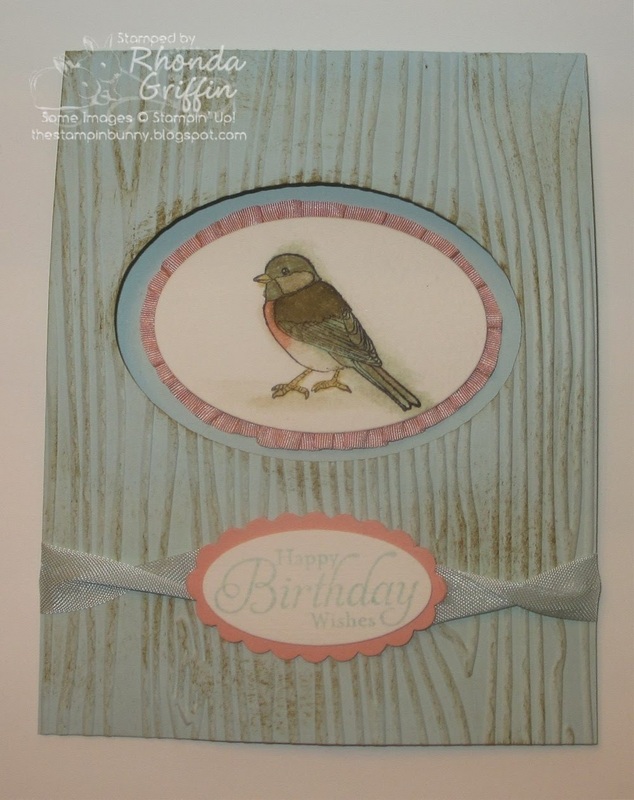 Stamp your sentiment using Soft Sky onto Whisper White and punch with the Modern Label Punch. 3. 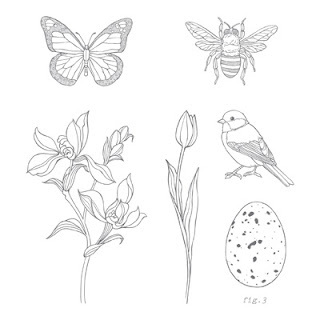 Stamp the Peruvian Lily/alstroemeria stamp onto the 2-1/2" X 3-3/4" piece of Whisper White. 4. Color the center of the large flowers with So Saffron. 5. Color the leaf areas with Pear Pizzazz. 6. Color the Strawberry Slush portions. 7. 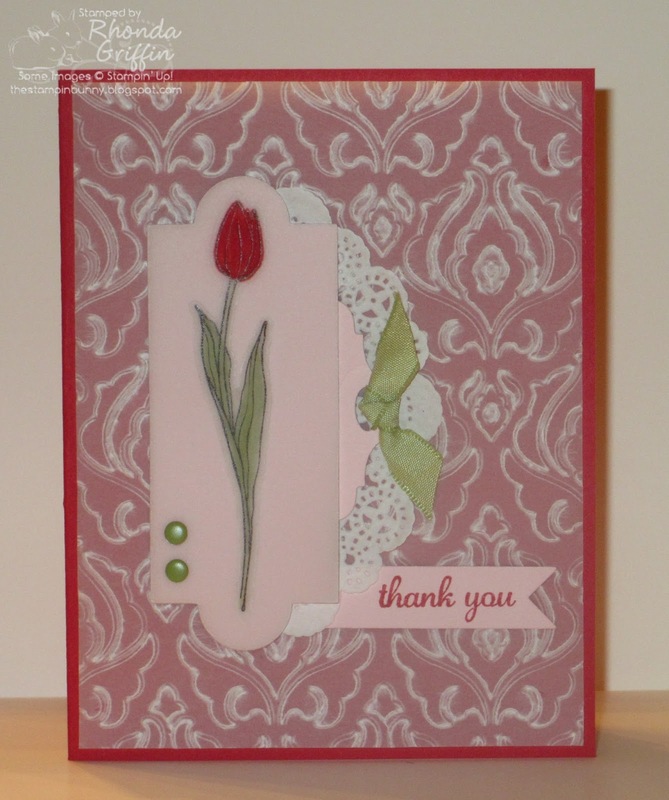 Accent with Pink Pirouette, leaving a few areas white only. 8. Cover the entire image with the White crayon...going outside the lines just a bit to provide a nice white edge on the image that will show after you sponge. Any area that is not covered with crayon will become Soft Sky. 9. Sponge with Soft Sky ink over the 2-1/2" X 3-3/4" main image layer. 10. Gently scrape the crayon from the card with your fingernail (a coin may mar the surface with dirt) and put the bits of crayon into the trash. Now you are ready to assemble the card...The only dimensional I used was under the right side of the sentiment, and a glue dot was used under each end of the ribbon. 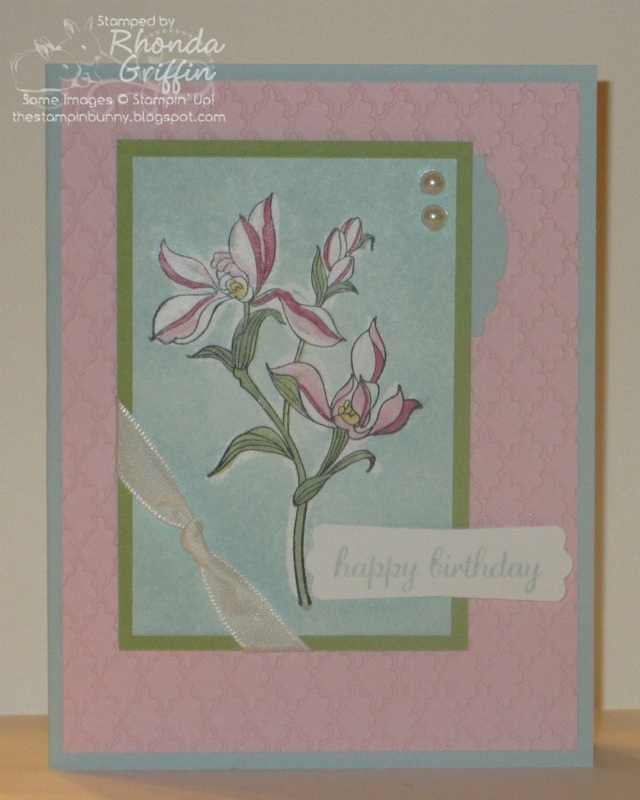 General purpose adhesive was used to adhere the remainder of the pieces, layering the main image layer onto the Pear Pizzazz and the Pink Pirouette layer onto the card base. Don't forget to put the Artisan Label under the Pear Pizzazz and to adhere two pearls at the top right side of the card.